Artistic and colorful including brushes for the real artist! Akteo watches are made exclusively in France, with respect to the clock-and watchmakers tradition in Becancon. The casing of the watch is made of stainless steel or titanium, with mineral glass, a high quality quartz movement, waterproof to 50 meters, a full 2 year warranty and excellent service for many years thereafter. AKTEO WATCHES , ART AND TECHNOLOGY IN TOTAL HARMONY Since 1992 the thematic Akteo watches are designed by Jean - Christophe Maréchal. His inspiration comes from the everyday environment in which we live . His passion for watches and his curious look and humor in everyday things he interprets to a particular series of watches . Each watch is unique and not only symbolizes originality and diversity but also the excellent quality, artistry and detail with which it is made . The collection includes more than 300 thematic watches and multi-line minimalist and modern watches . 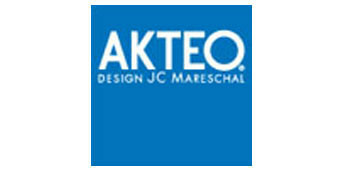 Akteo uses a universal language of signs and symbols for each design . The usual components for a watch , as the hands , second hand and the face and sometimes the crown in another form redirected to their primary function and ensure that the time is displayed . In an original way Each part is specially handmade by highly experienced craftsmen and artisans .